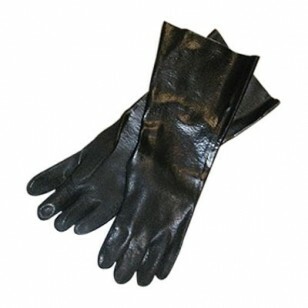 Double dipped PVC gloves offer a great value for a variety of uses. Offers chemical protection and a comfortable approach to handling most oil based products. 18" length with a sandy textured finish.